Modern house plans offer clean lines, simple proportions, open layouts and abundant natural light, and are descendants of the International style of architecture, which developed in the 1920s. 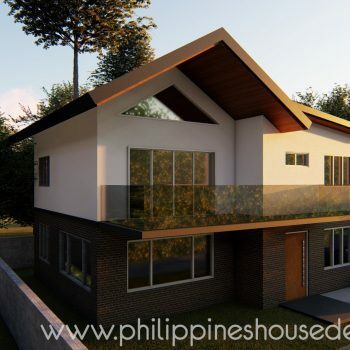 Flat or shallow-pitched roofs, large expanses of glass, strong connections to outdoor space, and spare, unornamented walls are characteristics of Modern house plans. The lot is often incorporated into the Modern style home, turning outdoor space into alfresco living rooms. To see additional Modern style house plans try our advanced floor plan search. Modern architecture, also known as Modernist architecture, covers a vast array of architectural styles and movements that emerged from around the late 1880s and ending around the year 2000. Modern architecture is incredibly diverse, and most styles are characterized by a functionalist approach and the use of materials that became widely available in the aftermath of the Industrial Revolution, notably steel, glass, and reinforced concrete. While often confused with Contemporary and Postmodern architecture, Modern architecture, strictly speaking, only covers styles from the late 19th century to the late 20th century. Postmodern architecture refers to a family of expressive, human-oriented styles that originated in the 1960s and peaked in the 1980s, and continues to the present day. Contemporary architecture is just a catch-all term that covers all relevant architecture trends and styles in the present day. While often very similar-looking with Postmodern and Contemporary architecture, Modern architecture tends to lack the understanding of human psychology and emphasis on sustainability that defines the more recent movements. The latter movements came about in an era with new technologies and a better understanding of how a human being in the present day may want to work, live, and play without creating a huge negative impact on the environment. While the origins are complex and disputed, it’s generally agreed that the first identifiably “Modern” structures built to underlying Modernist principles were first conceptualized and erected by members of the so-called Chicago School, in the late 1800s. The highly influential Chicago School of architects and urban planners was composed of luminaries such as Louis Sullivan and Dankmar Adler, the “Fathers of the Skyscraper”, and partners John Wellborn Root and Daniel Burnham, the latter of whom was especially important for the development of Philippine Modern architecture. Modern architecture as a movement has already been superseded by the Postmodern and Contemporary architecture movements. However, it laid the groundwork for both those families of styles. The look and feel of Modernist structures continue to be influential in Contemporary architecture, and most new buildings and houses are built using materials and ideas first developed in the early period of the Modernist movement, albeit with new tools and materials, such as computer-aided design and lightweight tube frames. The Philippines is home to a large number of Modern architecture masterpieces built throughout the entirety of the 20th century. A large number of styles fall under the Modern architecture umbrella, and most of these styles also have their prominent regional variants and sub-styles. Here are some of the most-discussed Modernist styles today. The International Style was a number of styles developed in the 1920s that prefigures more familiar Modernist styles. A number of post-WW1 architects and designers from Europe and the United States are often identified with the International style, including Ludwig Mies van der Rohe, Jacobus Oud, Le Corbusier, Richard Neutra, and Philip Johnson. It’s known for its clean lines and heavy Bauhaus and De Stijl design influences. Often considered to be a sub-style of International architecture, this highly influential German style was developed in the 1920s. It was a logical progression of the Functionalist design movement, and nearly all the simple block buildings that you see today are in some way influenced by this movement from over 90 years ago. It’s known for its use of clean lines and curves and the very studied use of proportions. Developed around the 1920s and continuing through the 1960s, this style takes the minimalist forms of the International style and uses it to create buildings that could also be considered to be sculpture. Unlike the other forms of Modern architecture that try to avoid overtly decorative elements, Expressionist architecture takes inspiration from the other visual arts, using then-new materials and techniques to create buildings that do not resemble the stereotypical rectangles and boxes of Modern architecture. In the Philippines, the Philippine Heart Center in Quezon City is a popular example of Expressionist Modern architecture. There are also a large number of houses built in the 1950s-1980s that feature elements that could be considered influenced by expressionist ideas. The Constructivist style was a 1920s Soviet take on Modern architecture trends. The main focus of Constructivist architecture was to symbolize modernity in the then-agrarian Soviet Union. Using the Internationalist style as a starting point, it became its own style, with an emphasis on democratizing architecture and less on expression and individuality. Compared to Western styles, Constructivist architecture seemed somewhat more crude and less elegant, as many of the structures had to be built without the materials and technology available in other countries. While not prominent in the Philippines, the style became popular in other socialist countries, including China, whose Contemporary architecture scene is still influenced to a degree by Constructivism. In turn, the Chinese Contemporary architecture has a limited but present influence on Philippine architecture today. 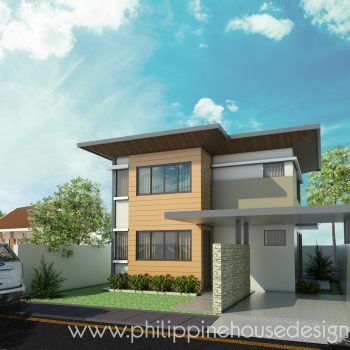 When one thinks of old Philippine buildings and houses from the 1930s through the 1950s, this style is what most often comes to mind. Art Deco structures from the American Period through the 1950s still remain prominent across the Philippine urban landscape and many period buildings are still in use today. Art deco buildings in the Philippine context are known for bright colors, clean geometry, and old-world craftsmanship melded with then-modern materials and techniques. In the Philippines, Streamline Moderne-style Art Deco buildings are the most prominent, and it was a style used for public spaces as well as for homes. The museum-house Balay Daku in Bacolod City is one of the hundreds of surviving art deco homes today and is a rare Pre-War example. Mid-Century Modern architecture was a development of Internationalist and Bauhaus architecture by a new wave of emerging architects, including Eero Saarinen, Oscar Niemeyer, Pierre Koenig, Félix Candela, Alvar Aalto, and in the local context, Leandro Locsin. It still follows many of the minimalist principles laid out by the Internationalist and Bauhaus movements. It’s characterized by the wide use of open spaces, asymmetry, larger windows, and less formality than either Bauhaus or the Internationalist styles. 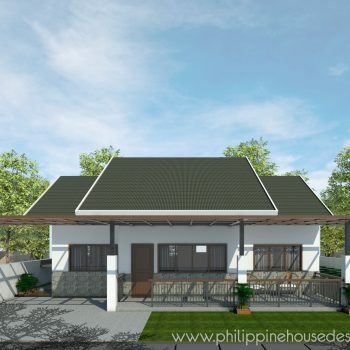 It was the style that most influenced new houses in the Philippines from the 1960s through the 1980s. 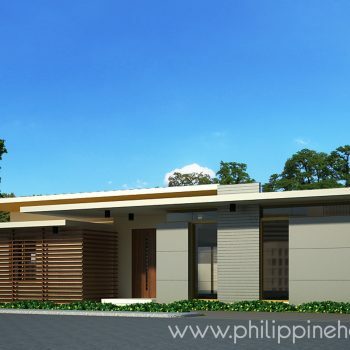 Today, it’s still a popular starting point for new Philippines homes, especially with respect to the interiors. It’s most lasting legacy is perhaps not with the architecture, but with furniture design, with Mid-Century Modern furniture still being immensely popular today. In contrast to Mid-Century Modern, New Formalist structures can be seen as a return to the symmetrical forms of the Internationalist style. The main difference is an overall heavier, thicker appearance to the buildings and projecting roof slabs. Cladding made from a range of materials is used and ornamentation of some kind is common. The use of marble, arches, and strongly horizontal elements are also prevalent in this style. Symmetrical Modern homes from the 1960s through the 1980s tend to employ some elements of new formalism. UP Diliman’s Quezon Hall, with its Modern aesthetic combined with columns and other elements more often seen in Neoclassical architecture, is an often cited example in the local setting. Miami Modern or MiMo is a regional development of the Internationalist style that was forever immortalized in pop culture, thanks to Brian De Palma’s Scarface and the hit 80s TV series Miami Vice. It melds a glamorous vibe with Modern architecture trends and infuses Spanish Revival elements in the design as well. Elements such as highly-decorated breeze blocks for passive cooling ventilation and glass blocks to let in light while preserving privacy are also common in these designs. Murals with an exotic theme are also common. Many Filipino homes from the 1960s also incorporated a few elements from Miami Modern, including the aforementioned breeze blocks and glass blocks, which are well suited to a tropical climate. These elements are particularly suited for a Contemporary energy-saving house design. This controversial style is known for its raw concrete textures, heavy box shapes, and lack of curves. It was an offshoot of the Internationalist style and was pioneered by Bengt Edman, Lennart Holm, and Le Corbusier, among others, in the early 1950s. This style was highly influential in the Philippines for government and school buildings as well as for shopping malls from the 1960s through to the 1980s. Numerous buildings with at least a few Brutalist elements in the Philippines from that era still survive. Perhaps the most popular example is the Cultural Center of The Philippines Theater, which combines Brutalist, New Formalist, and Mid-Century modern elements, with a Filipino twist. 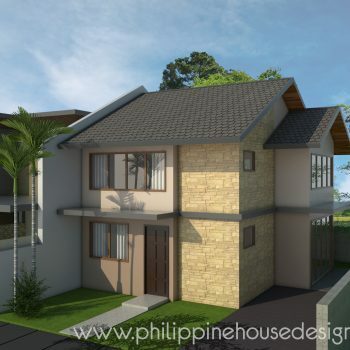 Many Filipino homes from the Brutalist Era also had a few elements of that style, especially raw or textured concrete and masonry, as well as concrete “popcorn” finishes, which serve to reduce sound reverberations. The style is also quite pleasing when combined with good landscaping. The Googie style is not so popular or well-known today. However, in Manila, you’ll start to see elements of it in old commercial buildings from the 1960s. Features of Googie include upswept roofs, curvy geometric shapes, and a very ostentatious use of glass, steel, and neon. It also liberally uses parallelograms, boomerangs, parabolas, atoms, and other scientific symbols as motifs. While not particularly popular for Philippine house designs, the space age themes were used by a number of businesses throughout the Philippines in the 1960s. Almost indistinguishable from the later Mid-Century Modern style, Danish modern is somewhat starker and more minimalist than its better-known successor. Natural materials are also far more likely to make an appearance in Danish Modern architecture than in Mid-Century Modern. Danish Modern remains influential as it has a focus on natural textures, simplicity, and on improving life through architecture. Compared to other Modernist architecture, Danish Modern makes much heavier use of wood in both interiors and exteriors. Its aesthetic continues to live on in Contemporary architecture, especially with respect to interiors and furniture design. This early Modern style emerged in the late 19th century and was meant to evoke the flat grasslands of the Midwestern US. It features a strong emphasis on horizontal elements, colors meant to blend in with the golden browns of the American Prairie, and visually distinctive roofing. It represents an early attempt in Modern architecture to capture the character of a country, which is echoed in nearly every regional style of architecture since then. It later on became a slight protest to the emergence of mass-manufacturing, and Prairie School structures often featured handcrafted features – another trend that is once again becoming important today, especially in Asian Contemporary architecture. This is the typical Los Angeles style as seen in countless films from the 20th century. This was a localized attempt at interpreting Internationalist styles in the 1930s through the 1960s. Compared to other Modernist architecture, the California Modern style tends to be more rectangular and has an emphasis on a light style, the outdoors, open plans, and the extensive use of glass to give a lightweight appearance. Like Miami Modern, the California Modern style was often an inspiration for Filipino homes in the same era. 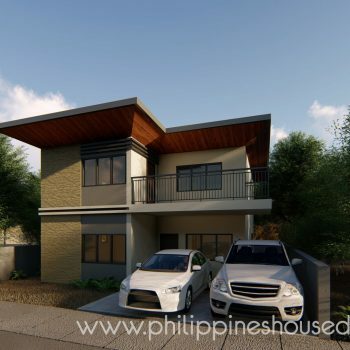 Less a style and more of a way to describe a combination of styles, Eclectic architecture tends to be the rule rather than the exception in Philippine architecture. In the Modernist Era as in today, architecture in the Philippines tended to borrow from popular movements from across the globe, leading to buildings that cannot always be definitively classed as one style or another. This Japanese style takes inspiration from how bacterial cells and fungal spores replicate, creating a truly unusual building style meant to tackle Japan’s emerging housing crisis. While ultimately a dead movement by the 1980s, this strange style is an early Asian take on Modern architecture. You can thank German-American Ludwig Mies van der Rohe for the popularity of rectangular steel and concrete buildings with “fins” on them to provide passive cooling or as an anchor point for glass walls. This efficient, yet light layout was immensely popular all over the world and continues to feature in new buildings being made today. Modern architecture is incredibly diverse and hard to nail down. However, there are a few key concepts that bind all these styles together. These materials are ultimately what made Modern architecture and a modern life possible. Having these materials available in a commercially-viable quantity is ultimately what allowed architects to create the foundation for architecture as we still know it. Modern architecture also became possible not just because of the wide availability of new materials, but also because of new ways of thinking. Most architects of the modern era worked with an underlying desire to build with the idea that “form follows function”. While not an entirely new idea, it was also brought about in part by a rejection of increasingly ornate architecture from the Victorian Era that was often hard to maintain and difficult to live in. As Modernism was about functionality and harmony, there was often an austere look to Modern architecture, with the notable exception of Expressionism and a few other movements. Modernist architecture tends to have less of an emphasis on fun or individuality, and what decorations there were tended to be an actual part of the building’s overall design, rather than simple ornamentation. 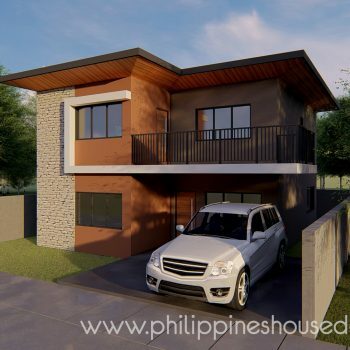 While ultimately rendered obsolete by our better understanding of the environment and human behavior, Modern architecture continues to offer much to the Filipino homeowner in terms of inspiration. There are numerous excellent examples of modernist homes throughout the country in a number of different styles. Thanks to new techniques, it’s possible to design and build new homes that are functional and sustainable while still paying homage to those iconic styles we’ve all come to love.